Please note that we are NOT a dispensary. Our compassionate certification center provides comprehensive medical marijuana evaluations and certifies qualifying patients. Patients will be seen by a state-approved medical practitioner who is registered with the Connecticut Medical Marijuana Program. The medical provider will conduct an assessment to ascertain whether or not medical cannabis treatment may be appropriate for a patient suffering from an approved medical condition. In addition, the medical provider will discuss the benefits and risks involved with the use of medical marijuana. Approved patients will be certified with the Connecticut Medical Marijuana Registry. Once certified on the registry, the patient may begin the online registration process necessary to obtain a Medical Marijuana Certificate, which allows the patient to purchase medical marijuana from a licensed Connecticut dispensing facility. First-time visits take approximately 45 minutes depending on the medical condition being certified. It is important to bring medical documentation as well as a photo ID to the first visit. The program, process and next steps will all be explained by the practitioner, along with any questions patients may have. Patients are certified for one calendar year in the CT Medical Marijuana program. However, it is recommended that patients re-certify one month prior to their card’s expiration date to be sure there is no lapse in access to the dispensary. We thank you for your service. Veterans receive a discount for both initial certifications and renewals. Must be a legal resident of Connecticut with valid proof of residence, such as a driver’s license or state identification card. Must have a qualifying medical condition as outlined by the Connecticut Medical Marijuana Program. Dealing with extreme anxiety I had been putting off getting my card for a while. Then I set up an appointment with Teresa. I am familiar with the process as I helped my wife get her card two years ago. Teresa took the process that I was used to and simplified it. Not only was I able to get an appointment within two days first thing in the morning, but talking to Teresa was quite the fun and therapeutic experience. She’s very engaging, and actually enjoys conversations with her clients. Teresa Healy, APRN, is Board Certified in Family Practice and has been in practice for over 20 years. 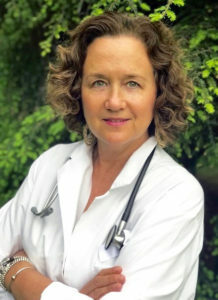 As a family practitioner, Teresa Healy is experienced in the diagnosis and treatment of a diverse number of medical conditions. Due to the exceptional safety profile of medical cannabis and low-risk of abuse or dependency, she strongly believes in its naturally therapeutic effects in treating (or at least alleviating) a broad range of ailments and illnesses. Teresa will take the time to understand your concerns and answer all your questions regarding the cannabis program. She is a member of the American Cannabis Nurses Association and the Association of Cannabis Specialists.